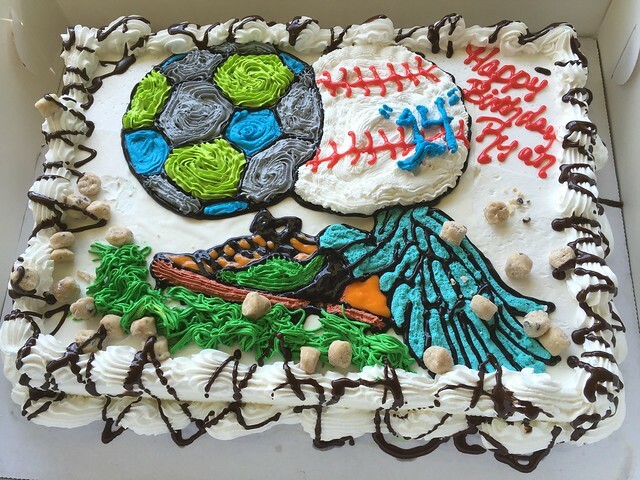 This was my nephew’s birthday cake and it looks pretty crazy. He plays soccer, baseball, and track so apparently they tried to fit everything in. I’ll just say that it definitely tasted better than it looked, lol! This entry was posted in Dairy Queen, Fast Food and tagged cake, dessert, food by vicentesf. Bookmark the permalink.